The Adopt a Book program creates an opportunity for you to support important conservation work for significant items in our rare book collection. By adopting a book, you are helping to preserve these materials for generations to come. All donors will be acknowledged on our website. If a single donor fully funds a book, we will add a personalized book plate to the item’s protective enclosure and an acknowledgement in the book’s entry in our online catalog. Conservation work involves many hours of skilled labor and accordingly can be quite expensive. Any donation large or small will help us towards our goal of funding conservation treatment for these books. Antonio Bosio (1575-1629) was the first systematic explorer of the Roman catacombs, and one of the earliest archaeologists. 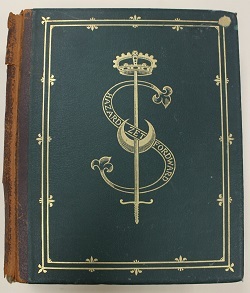 This posthumous volume was brought out by the Knights of Malta to whom Bosio left his estate. 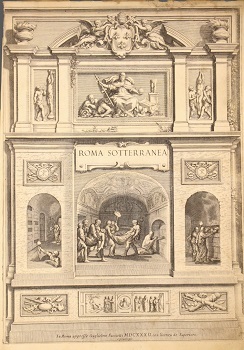 The organization entrusted Oratorian Giovanni Severani with compiling, editing, and revising Bosio’s work into this volume, which was published in 1632, three years after Bosio’s death. Although many of his findings have been disproven, his work represented a great leap forward in the archaeological study of Rome and shed light a previously hidden dimension of the city. 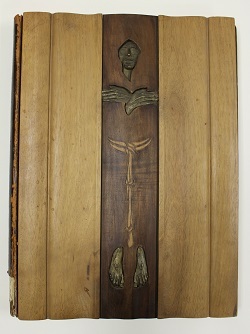 The book has serious condition issues, including the loss of most of the sewing structure on its spine, deteriorating covers, staining, and damage to leaves. There are two options for treatment: stabilization of the physical structure of the book and surface cleaning of the pages, which will cost $18,500, or stabilization of the physical structure and washing/de-acidification of the pages, which will cost $25,000. While washing is the more comprehensive treatment, either option will greatly improve the book’s condition and further its preservation for future generations. Ignazio Danti (1536-1586) was an Italian priest, astronomer, mathematician, and cosmographer. 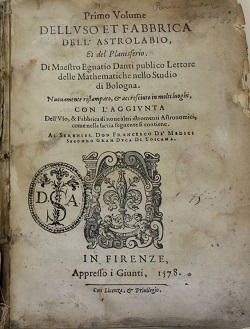 This volume is an expansion of his earlier work Trattato del’vso e della fabbrica dell’astrolabio” which was the first Italian treatise on the astrolabe, an early scientific instrument that enabled astronomers to calculate the position of the Sun and prominent stars with respect to both the horizon and the meridian. This vellum cover of this volume is badly deteriorating, and some parts of it are missing. Tidelines on the book’s pages indicate water damage at some point in its past. The sewing structure on its spine is weak, and some leaves are pulling away from the spine. Conservation treatment for this book will involve removing the covers, washing the leaves, and rebinding with a new limp parchment cover. This book is a collection of excerpts about the life of St. Francis. The title means “Little Flowers of St. Francis” indicating a collection of stories that were carefully gathered like flowers into a bouquet. The text of “Little Flowers” was compiled by an anonymous author in the late 14th century. This 1926 edition is significant because its illustrations and covers were created by Duilio Cambellotti (1876-1960), an influential artist in the Italian Arts and Crafts and Art Nouveau movements. The book features beautifully colored illustrations and unique wooden covers with inset metal decoration. This is number 218 of a limited edition of 1,000 numbered copies. Due to the weight of the wooden covers, the spine cover of this book has pulled away from the text block. A piece of leather at the bottom of the spine cover has torn away entirely. There are also minor tears and losses to some leaves. Conservators will repair the hinge where the cover and spine cover attach to the text block, reattach the torn leather on the spine, and mend tears and losses to the leaves. Charles Moore (1743-1811) was a rector and vicar of the Church of England. He held a distinguished position as one of the College of Six Preachers of Canterbury Cathedral, a group of preachers called upon to preach both at the Cathedral and in their own parishes. His comprehensive work on suicide was a response to Hume’s earlier essay “On Suicide.” Moore refuted Hume’s view that suicide can be honorable, and asserted that suicide is morally wrong and an affront to God. His literature review provides an excellent resource on attitudes toward suicide in the 18th century and earlier. Moore also includes two treatises on dueling and gaming and their relation to suicide. Originally published as a two-volume set, this copy features both volumes bound as one. The leather spine cover of this book is deteriorating, and it is missing its endbands. The back cover and a few adjacent leaves have detached from the text block. Some leaves have been previously reattached with cloth tape. There is also damage to the covers from rubbing and abrasion. A conservator will consolidate and condition the leather on the spine, reattach the leaves and back cover to the text block, attach new endbands, and mend the damaged areas of the covers. In this two-volume set, Scottish philanthropist and genealogist George Seton (1822-1908) details the history of the Seton family back to the 10th century. Drawing on an earlier work by Sir Richard Maitland, he traces the main line of the family to its origin. This thoroughly researched work contains many family trees and diagrams, as well as portraits of prominent Setons (including St. Elizabeth Ann Seton), and illustrations of the Seton family crest and coat of arms throughout its history. Volume 1: The covers have detached from this volume, and the leather spine cover has peeled away in two large pieces. Conservators will reback and readhere the original spine leather, as well as mending any tears and losses to the leaves and reattaching the covers to the text block. 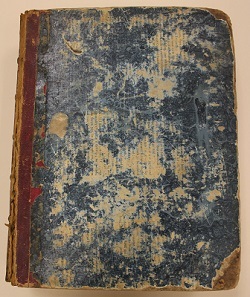 Volume 2: This volume had the same condition issues as volume 1, but at some point in its past clear tape was used to reattach the detached spine leather. This tape will have to be removed by conservators, then the book will receive the same treatment as volume 1. Benedict Carpzov (1595-1666) was a 17th century jurist who is considered the founder of criminal jurisprudence in Germany and an authority on witch trials. This volume details some important decisions made by the Saxony courts in the first half of the 17th century. 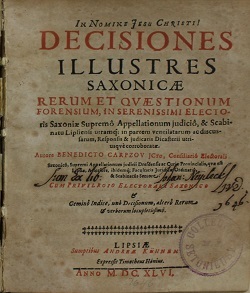 This book and several other works by Carpzov were banned by the Catholic Church in 1655. This book is missing its spine cover. Its vellum covers are bent inwards at the fore edge of the book. The leaves have some surface staining and minor tears and losses. Conservators will clean the old adhesive from the spine cover, humidify and flatten the covers, surface clean cover and leaves, mend tears and losses to the leaves, and reback it with a new spine cover. Guillaume Durand was a 13th century French canonist and liturgical writer. He spent much of his life in Italy, where he studied at the University of Bologna. He eventually was appointed Bishop of Mende in southern France. Rationale divinorum officiorum was one of Durand’s most influential works. It is a treatise on Christian liturgy and symbolism which focuses on church architecture and ritual. 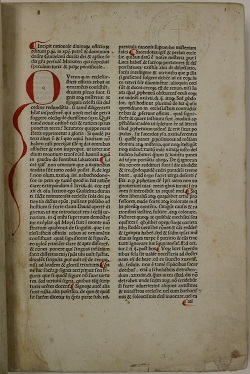 This copy is missing its title page, but it is likely the 1488 edition of the text. 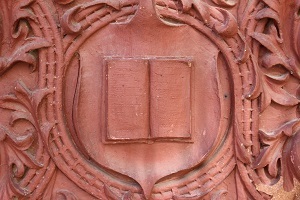 The book is missing its front cover and first few leaves. Its back cover has separated from the spine. Some of the leaves at the front of the book are loose. Its leather spine cover is peeling away, with some areas of loss. Conservators will remove the flaking areas of the spine cover, reinforce the loose leaves, mend and reattach the spine leather, reattach the back cover, and attach a new leather-covered front cover. 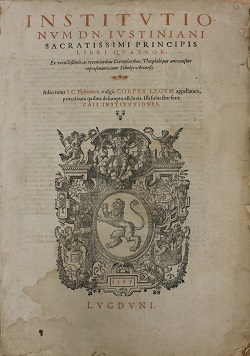 This volume contains two books of the Corpus Juris Civilis or “Body of Civil Law”, a collection of works on jurisprudence issued by Justinian I, Eastern Roman Emperor in the sixth century. The two books that make up this volume were published separately in the 16th century, and later bound together into one volume. While these editions are rare individually, they are even rarer when bound together in this manner. This book has serious condition issues, including water damage and staining to leaves, detached covers and spine cover, peeling leather covers, and weakened sewing structure on its spine. Conservators will release the binding from the text, surface clean the covers and leaves, humidify and flatten the leaves, mend tears and losses to leaves, mend the covers, and rebind the book. 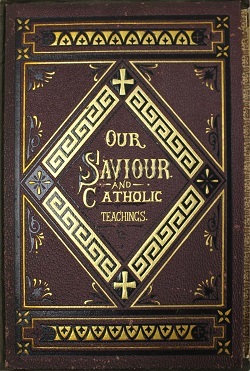 This book contains fragments from several 19th century books on Catholic teachings. These materials have been rebound together to create a unique volume that contains many illustrations and information from various sources. It also contains a handwritten register of births, deaths, and marriages of a late 19th century family. When the book was rebound, the cover from the original edition was removed and re-mounted inside the new cloth covers. This makes the front cover very heavy, which has caused its hinge to become weak and pull away from the text block. Some leaves near the front and back of the book are also loose. The spine cover is pulling away from the spine and has some areas of loss. Conservators will remove the covers and spine cover, clean the spine, surface clean the leaves, mend tears and losses to the leaves, and reattach mended covers and spine cover.